This updated 2 bdrm/2 bath corner unit has a wrap-around balcony with protected unobstructed views of Downtown and the Bay, the unit comes with two garage spaces and rarely available storage unit. Multilevel high ceiling with recessed lights throughout, floor to ceiling retractable shades on all windows make this unit uniquely different from all other units in the building. It features an open kitchen w/ quartz countertops & upgraded stainless steel appliances, a split floor plan marble floors, This is a full amenity building w/a pool, hot tub, BBQ area, fitness center, massage room, clubhouse, business center & 24 hour security. Located in the Prestigious Roads neighborhood. 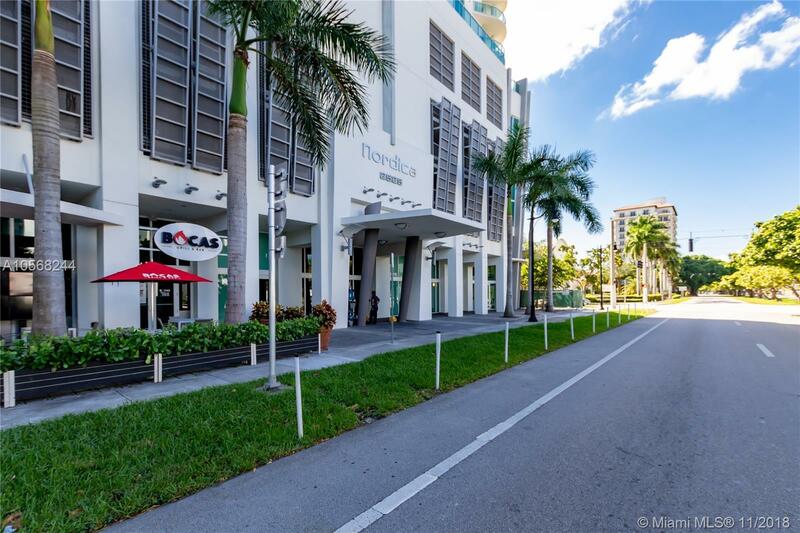 The building is strategically located with easy access to I-95, Key Biscayne and Coconut Grove.